A while back, a friend of mine was diagnosed with mononucleosis (mono). When I hear that someone has mono, I think teenager. My friend may be so in spirit, but in reality, she is a grandmother. According to the National Institutes of Health, mononucleosis is a viral infection that causes fever, sore throat and swollen lymph glands, especially in the neck. It is often spread by saliva and close contact. Known as “the kissing disease,” it occurs most often in people age 15 to 17. However, the infection may develop at any age. 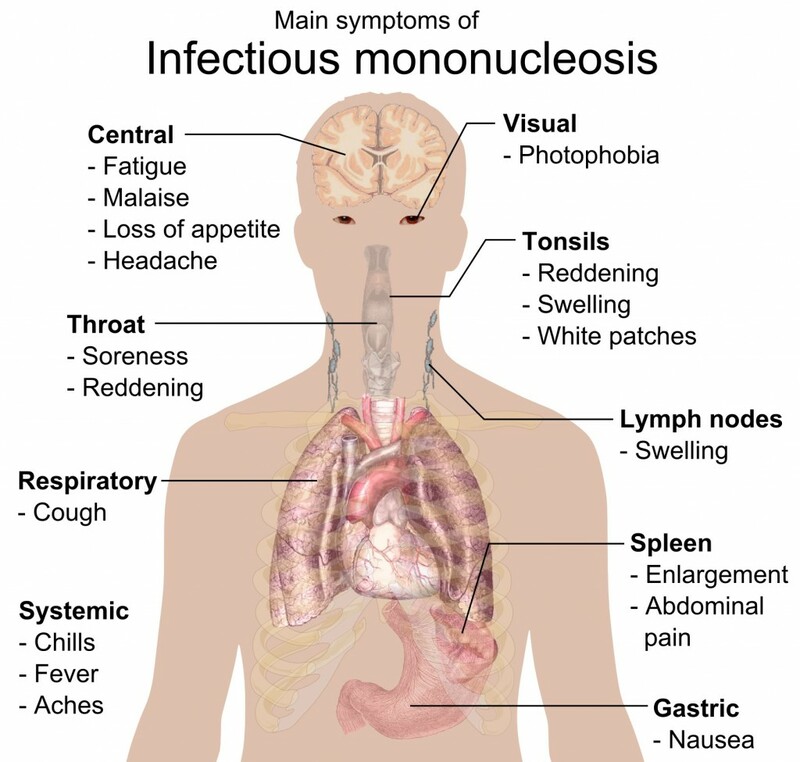 Mono is usually caused by the Epstein-Barr virus (EBV), which is an extremely common virus. Most people will become infected with EBV sometime during their lives, but won’t ever have any symptoms. Up to 90 percent of American adults will have developed antibodies to the virus by the time they are 40. When older people get mono, they usually have slightly different symptoms than if they were much younger, which can be confusing for the health care provider trying to make a diagnosis. Often, infectious mononucleosis in older people is confused with lymphoma, leukemia or gall bladder obstruction, or is classified as “fever of unknown origin. Fortunately, the astute nurse practitioner my friend saw decided to get a mono test, just in case. The virus that causes mono lives in the nose and throat. It can be spread when people come in direct contact with infected saliva, tears, or mucus. It is usually spread when saliva from an infected person gets into another person’s mouth. It can happen if you share a drinking glass or eating utensils with someone who is infected, or it can happen with a kiss, although a brief kiss on the lips is not likely to spread the virus. The virus can be passed to others for several weeks or months during and after an infection. The virus can also become active and spread to others from time to time throughout your life. It takes 4 to 6 weeks for symptoms to develop after you have been infected with the virus. This is called the incubation period. And if you get it, the usual treatment is rest, rest, rest. My friend did as she was told and thankfully, healed quickly.